At 888poker, there are games for every type of player and every pocket. Want high stakes? We got 'em. Want 1 penny satellites to big ticket tournaments? We've got those as well. Want to play free online poker games and still have a chance at winning big prizes? Yes, you've hit the nail on the head. If you want to experience the thrills of online poker without spending real money at the start, 888poker's Practice Play mode is the perfect choice. Placing Practice bets is a great way to get familiar with the rules of the game and hone your poker skills. This is because instead of playing for real money, you're playing for virtual money, which doesn't cost you a penny. So, come visit the 888poker Practice Play lobby, and try our poker cash games and tournaments just for fun.  888poker is one of the only online poker sites that gives you an $88 bonus just for registering. All you have to do is download the 888poker software, register with a working email address, check your inbox and BAM! You already have $8 on the house ($1 instant bonus and $7 in tournament tickets) in your account. Use it instantly to buy-in to real money games. Plus, you'll receive another $80 as you collect bonus points. This bonus can go a long way because at 888poker you can buy-in to games for as little as just 3¢! When you're ready to make your first deposit, we'll double it with an extra bonus! Load your 888poker account with just $10 or more using promo code WELCOME100, and you'll get a 100% Welcome Bonus to play real money poker up to $400. Deposit $20 and play with $40. Deposit $100 and play with $200. 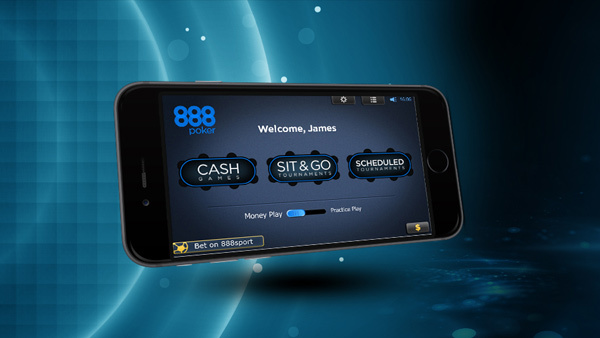 New players get more than just a welcome bonus at 888poker. Now that you've made your first deposit, you also get entry to 10 amazing tournaments.